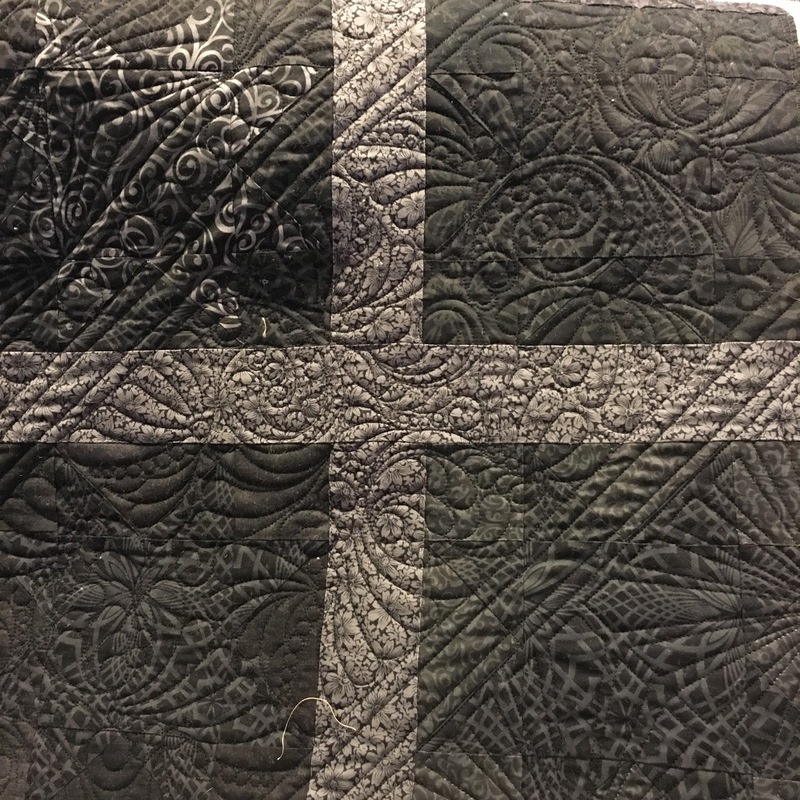 I'm so excited to announce that Mary's 'Black Stars' quilt won 1st Place in the Modern Category at the Georgetown Quilt and Stitched show over the weekend. 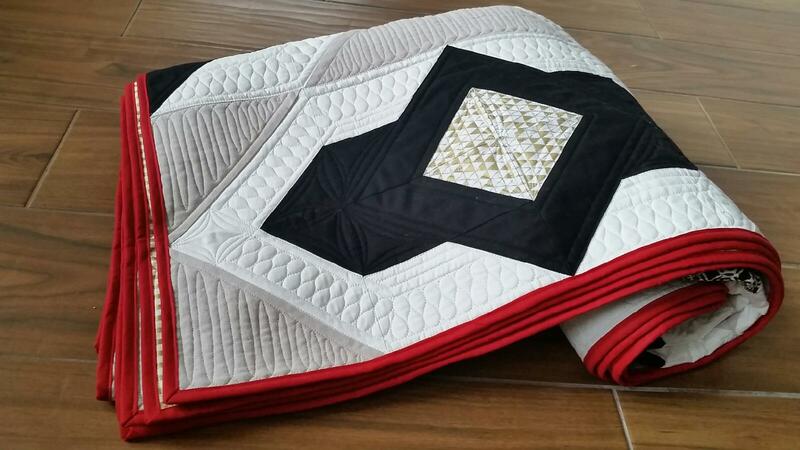 Mary did such an amazing job designing and piecing this quilt, it made it such a pleasure to quilt! Congrats, Mary! LOVE, LOVE, LOVE this quilt! It was such fun to work on. Mary's amazing piecing job made this a great candidate for heirloom quilting. 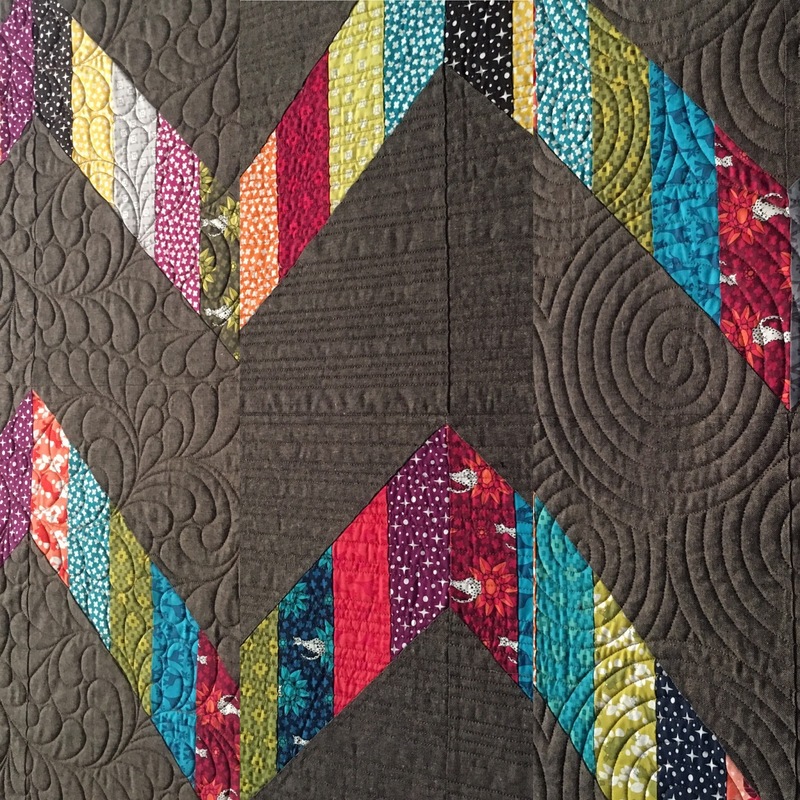 Here is a fantastically pieced sampler quilt from Jane. 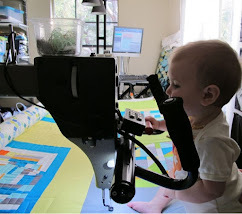 There was lots of opportunity for heirloom quilting in the yellow background. It turned out lovely. The end of the school year brings the end of my daughter's time in pre-school. I made these two quilts for her amazing teachers for all the work they've done preparing her for the big move to Kindergarten next year. The pattern is based on Elizabeth Hartman's Fancy forest pattern. I quilted them both with a wood theme - one a horizontal wood-grain pattern and the other a cross-grain pattern. Straight lines look great on the Violet Craft animal patterns. This paper-pieced giraffe is complimented by unevenly spaced horizontal lines. If you ever wondered what impact quilting makes on a quilt, here is a great set of examples. These quilts were for three sisters, made with the same fabric line and the same espresso linen background fabric. Mitzi pieced this amazing quilt as a wedding gift for her cousin. She used this free locket quilt pattern featured on Fat Quarter Shop. 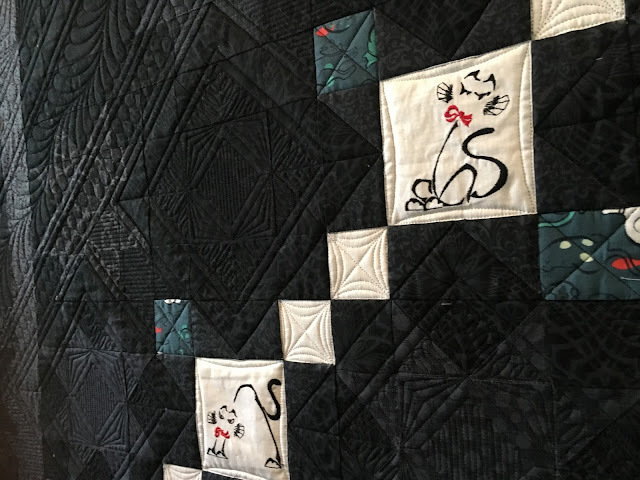 I wanted to keep the look of the quilt elegant and sophisticated. I outlined nearly every part of the quilt with 1/4 inch lines to achieve this feel and used what I call 'chubby loops' to fill in the white background. The squares in the center of the lockets really spoke to me, so I repeated them throughout the quilting.